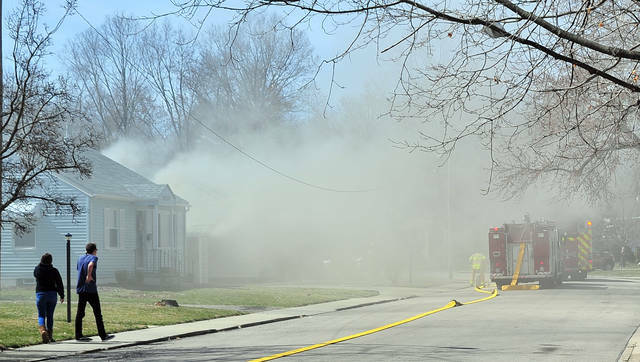 Mike Ullery | Miami Valley Today Firefighters from Troy battle a house fire on Mayfair Circle on Wednesday afternoon. 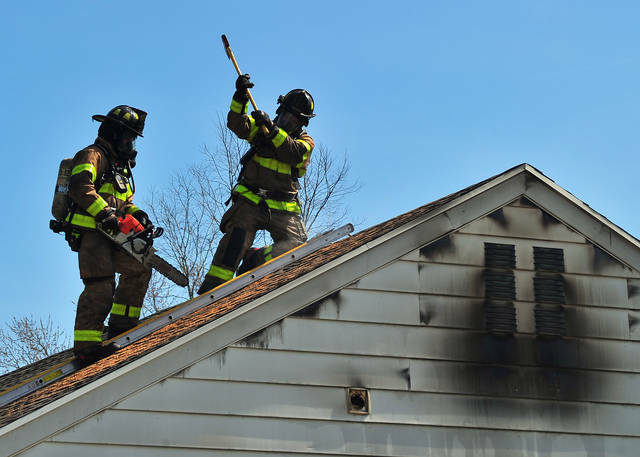 TROY — A Wednesday afternoon fire caused heavy damage to a residence in Troy. Firefighters were called to the 1000 block of Mayfair Circle, off Penn Road, around 2:15 p.m. for a structure fire. First units on the scene reported heavy smoke coming from the single-family wood frame home. A search of the interior of the home was conducted to insure that no one was inside as firefighters worked to bring the fire under control. The blaze was knocked down as the structure was ventilated and hot spots located and extinguished. 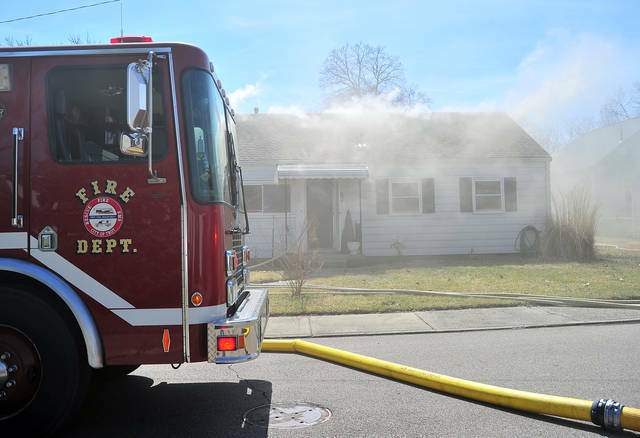 Assistant Fire Chief Eric Krites said that no one was home when the fire began, but neighbors reported that a pair of cats may have been inside. Krites said that firefighters were able to save one of the cats. The other is still not accounted for. The investigation is continuing but Krites said they believe that the fire began around a utility room area. The residents, Amy Sparks and a teenage daughter, were displaced by the fire. Family members are assisting the pair. No damage estimate has yet been given. 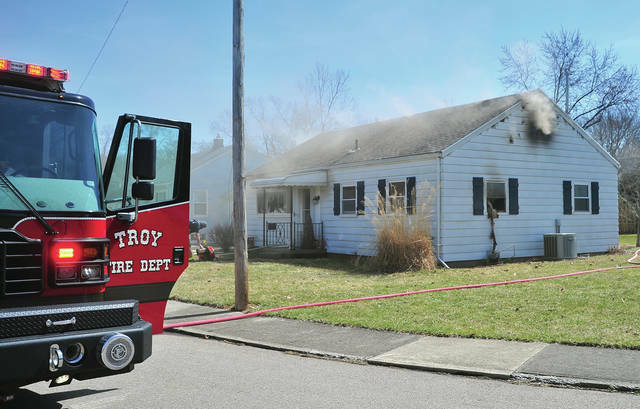 Fire units cleared the scene around 4:30 p.m.
https://www.dailycall.com/wp-content/uploads/sites/30/2019/03/web1_032719mju_fire_troy_mayfair-1.jpgMike Ullery | Miami Valley Today Firefighters from Troy battle a house fire on Mayfair Circle on Wednesday afternoon.